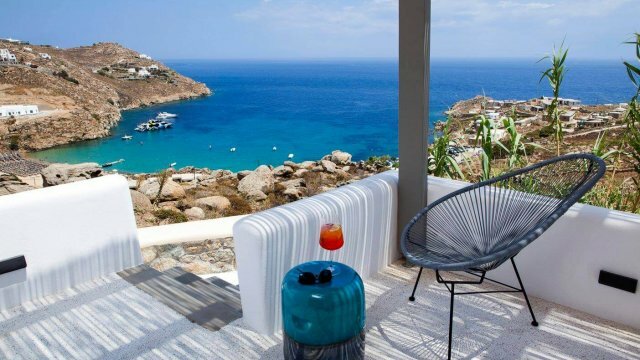 Located in a beautiful spot right above Mykonos Chora and its famous landmarks, the Windmills, and Little Venice, Vencia Hotel stands proudly for many years offering generously its luxurious services. 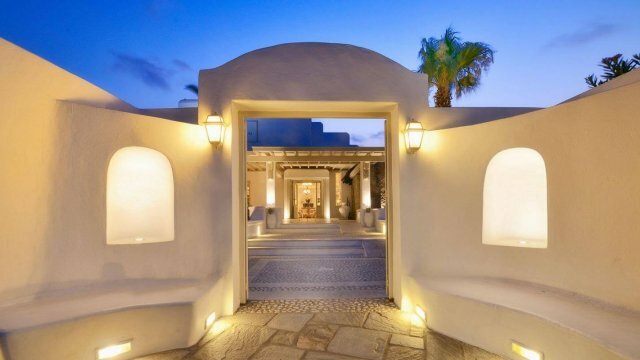 Built upon a higher turn of a street outside of Mykonos overlooks the Aegean and Delos island Vencia Hotel considered to be one of the hotels in Mykonos that knows well of hospitality and how to be offered properly. Luxurious yet cozy and spacious rooms with windows or balconies viewing the sea and nature outside feature all the modern amenities and facilities for the guests to feel comfortable and relaxed so they can make the most out of their stay in this marvelous hotel. 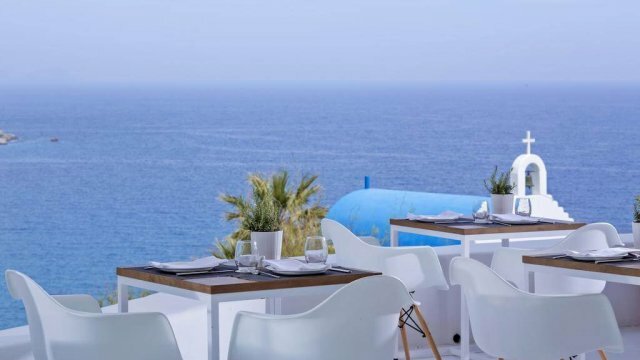 Whether you choose to enjoy a tasteful and rich breakfast or a delicious amazing dinner at the hotel’s restaurant Karavaki, you will feel more that fortunate right after you take a look at the images that are spreading before your eyes, laying on your feet. 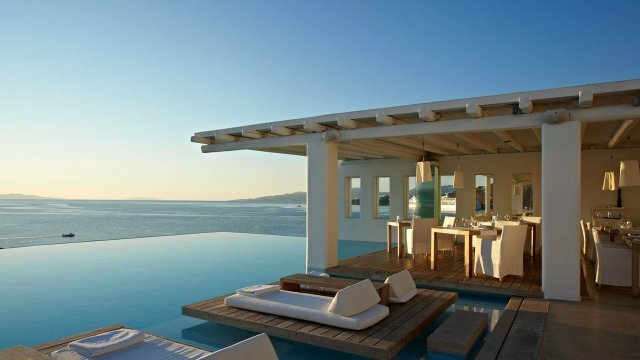 A unique living postcard of small, white sugar, cube houses and the endless blue palette of the Aegean and the clear horizon. 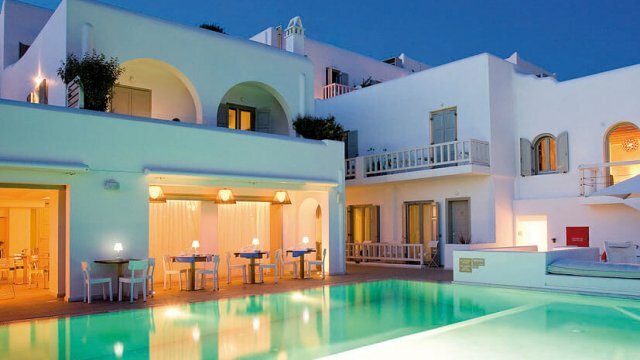 The staff is always willing and warm to help you and give you all the options and combinations you can imagine so you leave the hotel with the best impression and the feeling that you have chosen wisely where to spend your vacation while in Mykonos. Among all the other services the hotel features wellness treatments as well with highly trained and experienced trainers and therapists that will make you feel all the serenity and peace that you will definitely enjoy more than ever after a stressful winter season. 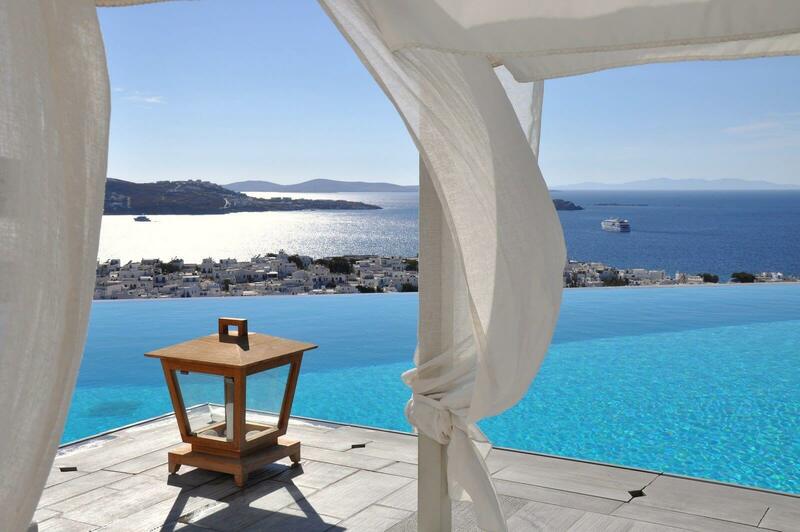 Let yourself indulge in a luxury but homey and authentic place where happiness and lavishness have nested for good!